There are many assumptions about home loans, especially in the realm of government home loans. One may typically assume that if the government is administering a home loan that it is only allowable to pertain a modest, single-family property with these funds. This is FALSE. FHA home loans can be used to obtain a multi-unit property. These kinds of properties are desirable because you will not only be a home owner, but you will get to pay off your mortgage with drastically lower payments and build equity much faster. What kind of multi-unit property can the FHA home loan be used on? How this works is that the borrower of the FHA home loan will qualify for and be approved to purchase a multi-unit property. This will be either for two units (a duplex), three units (a triplex), or four units (a fourplex). The most units you may have is four, and the main stipulation is that you live in one of the units. The property has to be your primary residence. This program can’t be used to purchase investment property. You also, cannot count future rent payments as part of your current income for qualifying purposes. What kind of perks can you look forward to in using the FHA home loan for multi-unit properties? The benefit of purchasing a multi-unit property with FHA is the low down payment requirement of 3.5%. Other loan programs typically want to see a larger down payment for a multi-unit property. Another benefit is that purchasing a multi-unit will help offset your mortgage payments by renting out the other units that aren’t occupied by you. You as a homeowner get a chance at becoming a landlord. The rental payments that are received by the tenants can be used towards paying down your mortgage or simply lowering your monthly out of pocket costs. 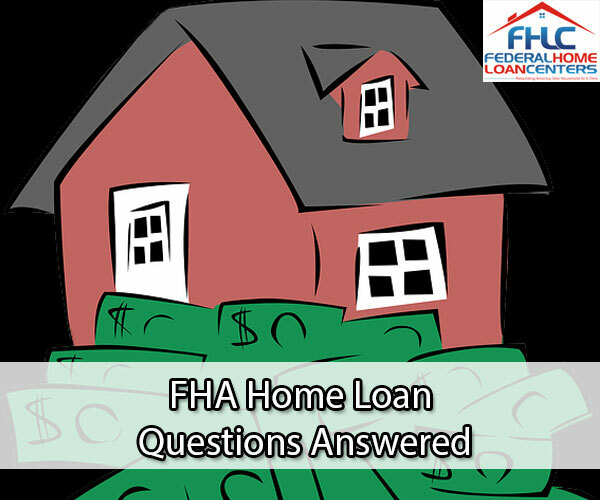 If you want more in-depth information on the FHA home loan, you may call our office at (877)432-LOAN (877-432-5626), or send us an email at info@fedhomeloan.org . People with large families in their local area may find this to be an enticing concept. For example – you have a triplex with two empty units. Your uncle alongside his wife lost their apartment because it was being converted to a condo. Now, your brother and his wife are pregnant and need more space. You could rent out your other units to your family, since you know they are employed, and you will feel comforted knowing that you are related to and familiar with your tenants. As long as the family members have a prepared lease agreement and their deposits, you will be all set to truly keep it in the family. How can you go above and beyond for your renters, while protecting your investment? As a landlord, you will not only be bettering your situation, but you can also service your tenants by helping them build their credit score. If you take part in the RentTrack program, you allow tenants to pay rent online, which transfers to your account within one to three business days. Credit bureaus Experian and Transunion will build the tenant’s credit history, and RentTrack will also give you access to ScreeningOne. This will allow you to look at background information on potential or existing tenants. For more information on RentTrack, you may call our office at (877)432-LOAN (877-432-5626) or use our site’s chat feature. Will your down payment be higher when buying a multi-unit property under the FHA home loan? Since the loan will now be for a multi-unit property, another assumption would be that the down payment percentage with the FHA will be higher. Lucky for you – the 3.5 percent down payment average for the FHA home loan still stays. 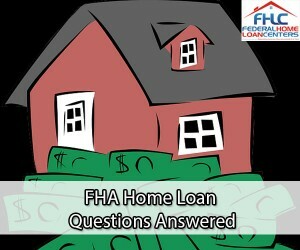 Is there any way to get an FHA home loan for a property with more than four units? The FHA, under Section 207/223(f), also can allow for borrowers to refinance or acquire a multifamily building with a minimum of 5 residential units. These properties that have been repaired or renovated more than 3 years prior to the date of mortgage consideration, or do not have complete bathrooms and kitchens, will not be approved. Unfortunately, we do not offer FHA loans on more than 4 units. If you are interested in additional units, you’ll need to find a mortgage broker or lender that offers this. Click here to apply for an FHA home loan. Click here for info on VA home loans. To learn about USDA Home Loans, click here. Go to http://www.FedHomeLoan.org 24/7 or call us at 1(877)432-LOAN. Be sure to follow our Twitter account and like us on Facebook.